Not an alliance was stirring not even Pandemic Legion. Except for the supercaps that couldn’t go there. While they dreamed of session changes that soon would be shorter. Thinking how nice it would be for a long New Eden nap. Away to my balcony I tried to run fast! But my Incarna legs meant that I got there last! And gave illumination to whatever might show. When, what to my wandering eyes should appear! But a hooded pod pilot spreading good cheer! Then that must be our own CCP Hellmar! More rapid than dramiels his developers came. And he messaged and posted and called some by name! “Now Soundwave, now Punkturis, now Affinity, now Navigator! On Greyscale, on Nullarbor, on Tuxford, on Guard! Leaving gifts where he went, including engine trails! They sprinkled some dev dust, fixing this and fixing that. The new BCs alone will certainly change our combat! But new ships were not all that CCP had in store. The new font and UI scaling might make your eyes less sore. New modules were coded, yes more things are tech 2! And hybrids are buffed to breathe life to Gallente pew pew. Alas the poor miner is stuck still just staring at rocks. Ships across lightyears when they are en route. The new nebulae alone are almost beyond describing. Especially now that they see how often their shots miss! And finally, new warp tunnels, goodness, this must be fate! And a ‘loot all’ button will speed up looting a wreck. Hellmar and team have finally fulfilled wishes from past years. Download the audio reading as heard on Voices From the Void podcast here. So inspiring! I love it! awesome… awesome to the max! I'm glad everyone likes it :-D. And we can call Hilmar Father Crucible! I had the worst day at work. Came home to read this and cannot stop smiling. It's gonna be a good Christmas. Full of killmails and joy, and maybe a few tears. Thanks for an awesome post. 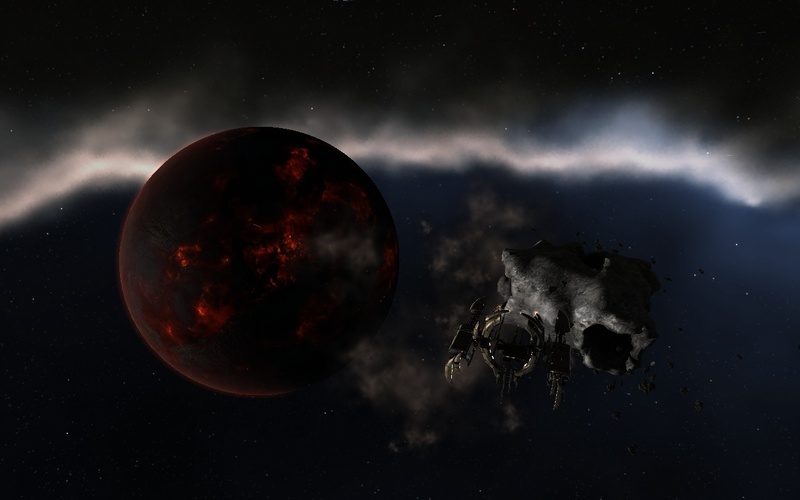 CCP, thankyou for fixing what was broken….. TOOK YOUR SWEET TIME!!!! That is just Pure ownage , greatly done and thanks for putting a smile on my face . Also the stupid suicide ganking comes to an end, b'cause u loos your insurance if concord wrecking you down .. YEAh ,, f**** yeah. Well spotted anonymous, I too noticed the lack of reference to shiny new textures. Fortunately, I've got Mark726's back and covered that in the very next blogpost. Cant patch, 'sup with that? Just tells me its incompatable version with server. thumbs up m8, good work!! i shed manly tears, it was so well written. That was priceless and I love this and you. I may even give you a reach around.